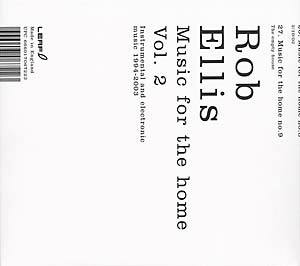 "Three years after the first volume of Music For The Home, Rob Ellis returns with a new, intensely personal solo album which opens a treasure chest of archive recordings from the last decade, documenting a turbulent period in his domestic life. 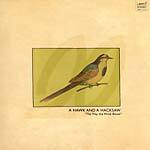 Where volume one was created and edited almost entirely inside a computer, this album includes many piano pieces recorded live. A self-taught pianist, Ellis's idiosyncratic approach to composition has drawn comparisons to Messaien, Reich and Cage, among others. The album also utilizes domestic recordings and concrète techniques, notably on 'Church Opposite,' which uses the sounds of church bells to startling effect."